FION is open all week long for good times with good friends. We're a big fan of the wine flights, which will only set you back fifteen bucks. Their wine list is not huge, but the selections are well thought out. Wonderful staff here, always very accommodating and caring, and willing to help you find exactly what your taste buds are craving. The atmosphere is upscale yet relaxed, very comfortable and inviting. 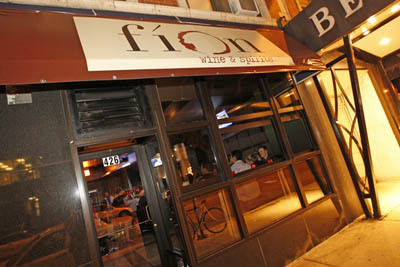 There are many wine bars in Chicago, but Fion wins the top spot with us because of the vibe, the concise and smart wine list, and the personalized attention.